We offer a wide range of services to support small and medium sized business. Compliance and technology are becoming increasingly important factors when running a modern business. Check vat returns from your own records. “Sara Allan has been a great help to my business, she has always been there either on the phone or will come to me if we need help. This helps me in my busy schedule. Nothing seems to be a problem for her. Sara is a ‘rock’… efficient, responsive and responsible with top accountancy skills delivered with a cheerful disposition, inspiring confidence and goodwill. Sara started work in practice and qualified with the AAT whilst working in a medium sized firm of accountants in Surrey. 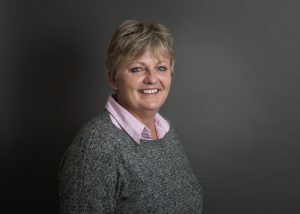 Having been approached by a client to become the financial controller of their expanding business, Sara set up her first computerised system and introduced Sage. After several years she worked as the Finance Controller for an electronics company and looked after the ISO compliance and assisted the directors in managing the company before deciding to take time out to start a family. Sara continued to work in her husband’s business whilst bringing up their family. Once they no longer needed her so much she went back into to practice whilst continuing to run her husband’s business. Whilst in practice Sara ran the outsourcing department and built up strong relationships with many clients, assisting them in system problems, book keeping, vat and attending inspections. She realised that there was still a gap for advice on a level that did not confuse the sole trader / SME who found the compliance side of running their business very time consuming.